Can you Communicate this Way? I didn’t know what to expect when I first met Joanna Hennon. She calls herself a Soul Wisdom Mentor and helps her clients communicate with their intuition. She channels her own wisdom as she guides her clients to discover their own. The end result is a life filled with joyful awareness, trust and inner wisdom. I have to admit…I was somewhat skeptical. Until I heard her describe her work. Then I was hooked. You can actually feel her joy! Visit Joanna Hennon at CreateYourWorld.me. In my work, I meet fascinating people who are helping others realize their happiness and bliss. In January, I met Miriam Castilla at an event and my life has not been the same. Miriam is one of those effervescent women who light up the room. Her lovely voice, accented by an Aussie flair, is just one clue to who she is: a woman who has walked through hard times and not only survived, but thrived. When she looked back over her life and realized how she created a life she loves, Miriam decided to write a book to share her insights with other women. Today’s Woman – Life Balance Secrets is the result, and it is powerful, practical and pragmatic. 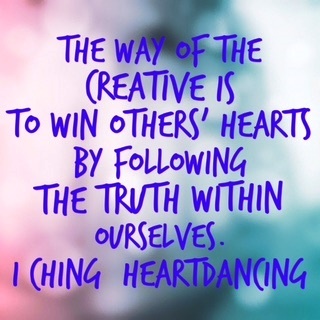 Lean in now and listen to our conversation on Heart Dancing Radio, as we talk about life, love and Miriam’s two prong approach to living well.